Product Information- Now , your skin can enjoy both instant coverage and all day radiance . Formulated with Gen White, White Beauty BB+ Fairness SPF 30 PA++ cream lighten dark spots and provides all day radiance that doesn’t smudge or wash off easily. Whether it’s getting that even skin tone or protecting your skin from blemishes, this beauty benefit cream will act as a solution to your multiple skin problems. This all one in one Pond’s cream will leave your skin looking beautiful and desirable. When you need to go for that party this BB cream will cover the spots on your face and lighten your skin to give you that refreshing and appeasing look. 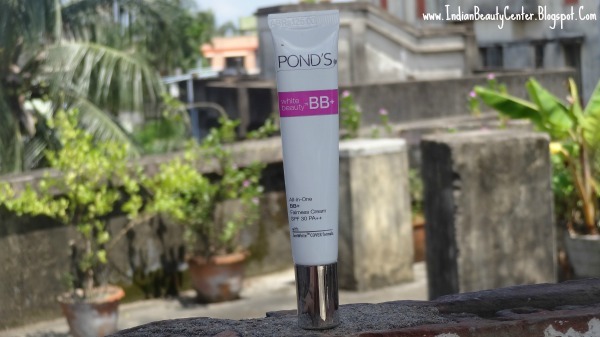 The Pond’s BB Cream makes your skin light and helps improve your skin tone gradually. When you are out in the sun, this BB cream will protect you from the harsh sunlight and ensures that your skin is left soft and supple at the end of the day. 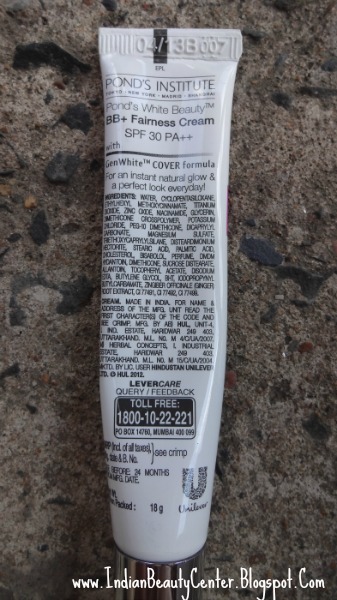 This BB cream comes in a simple white tube with a silvery shiny cap. The packaging is super sleek and the long nozzle provided helps me to get some control over the product that comes out. 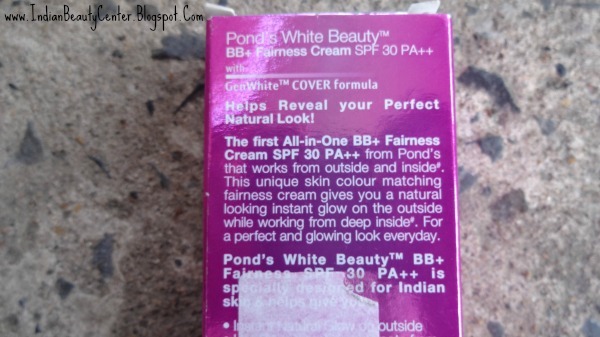 The cap is sturdy and the Ponds BB cream is very travel friendly. The BB cream smells floral and the fragrance does not linger on for too long, which is a plus point! 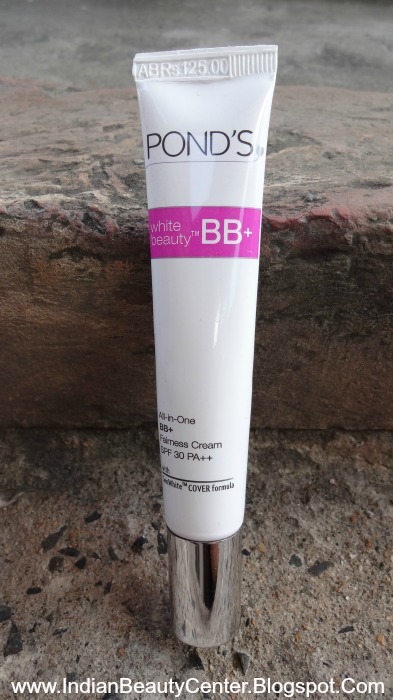 This BB cream contains SPF 30 PA++ for sun protection, which is just great! The BB cream is slightly thick in consistency and dries really fast so you need to be quick in blending it in. It spreads easily onto the skin and you can use your fingers to blend it in or you can even use a brush! If you use too much of it, it can leave behind a whitish cast. So, make sure to use a very less amount at first and then gradually build it up. The BB cream lasts on for like 3 hours and then slowly disappears. I wish the lasting power was a bit longer...This BB cream instantly adds a glow to the skin. It does cover up mild blemishes here and there on the skin. The BB cream is just so affordable- at-least cheaper than the Revlon BB creams and all...It provides slightly medium coverage and I loved this fact a lot. This does not feel heavy onto the skin and does not make the face sweaty or oily. It provides kind of a semi-matte finish. However, it does not control oil at all. 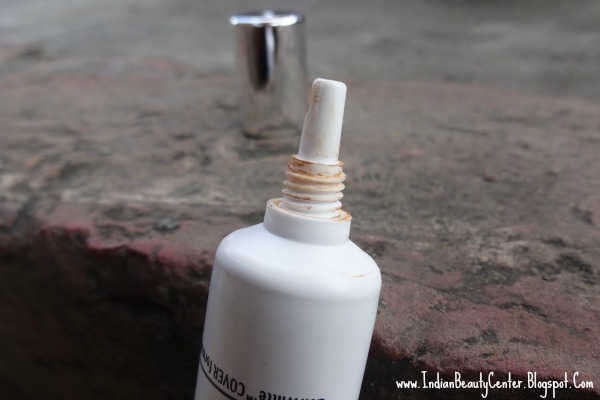 If you have dry skin then this BB cream can not be sufficient for your skins moisture needs. 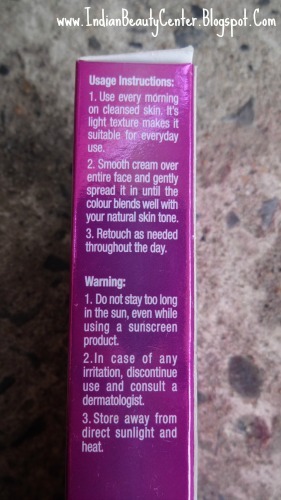 So make sure to use a good moisturizer underneath, if you want to use this BB cream. You can also mix it up with your moisturizer to attain sheer coverage. sounds decent product...I am using rimmel london bb cream quite happy with that...nice review arpi.. Ever since I started using this, it became my favorite.. Very nice review Arpita :) thanks for sharing. 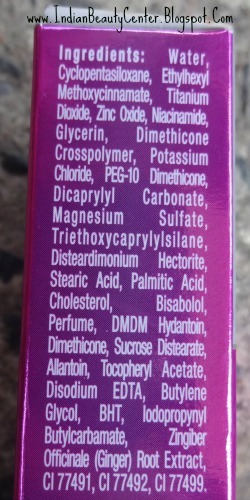 I dont have very good experiences with bb creams a d as u said this does not control oil , this us not fir me.. I have a dry skin so definitely not for me..!! I have tried this but it didn't suit me...maybe coz I have dry skin..nice review dear.